Wharton County, Texas Vintage Photos. Railroads – The cottonseed train arrives at the Wharton depot. Mule wagons unload their wares in the late summer days following the cotton harvest and ginning. Millions of dollars came to Wharton for cotton in the latter part of the 1800’s. Older St. 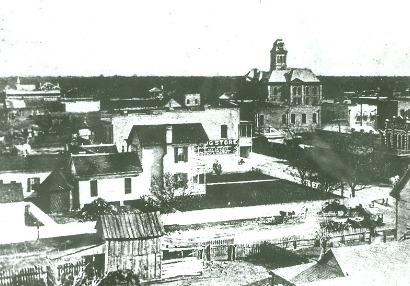 Scenes – View of the old Wharton courthouse in the late 1800’s. The town site was surveyed by Virgil Stewart. Stewart was a planter from Brazoria who married Lucinda Flowers, a widow who came to the Bay Prairie with slaves and built a home near the area that the downtown square was to soon be built. 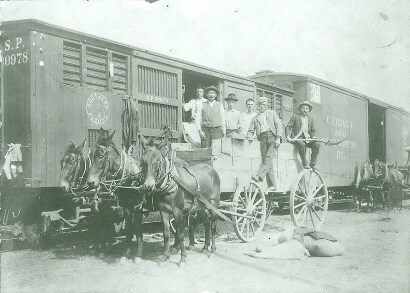 Onishi Family – In 1885 another railway depot was established in Mackay by the New York, Texas and Mexico Railroad and was named after the son-in-law of Colonel Hungerford. 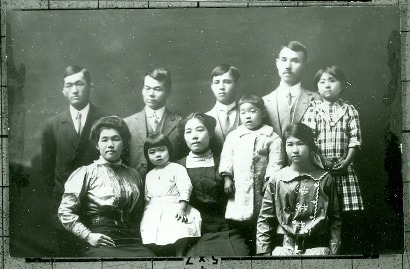 The Onishi family worked the rice fields in the Mackay area. 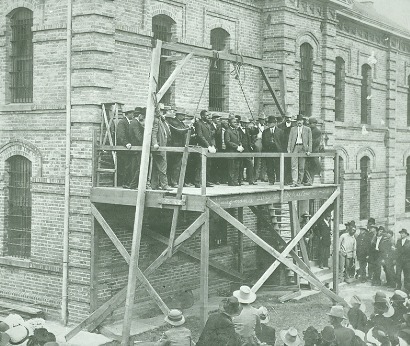 Hangman’s Day – In 1910 a crowd gathered around the scaffolding adjacent to the Wharton Jail for a hanging. 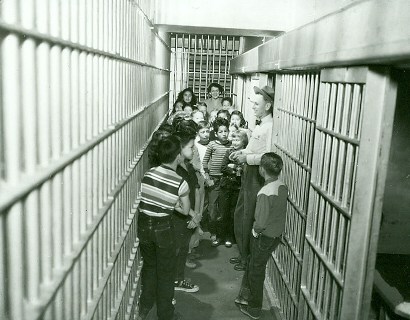 T. W. Lane – Sheriff Lane talks with students in the jail. Sheriff Lane also was elected to the statehouse in 1954. 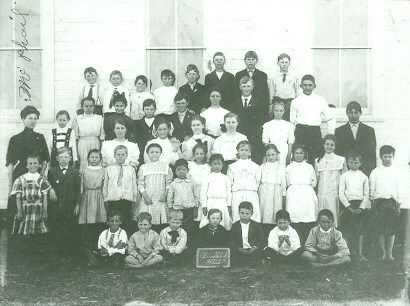 School People – Children pictured from the Pierce School in 1910. 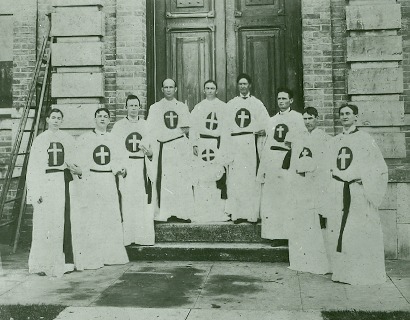 The school was built by A. H. “Shanghai” Pierce. Pierce Ranch imported the first Brahman herd in the United States around 1900. 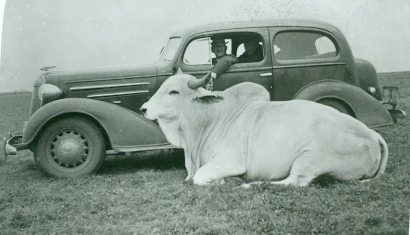 Walter Hudgins – Walter Hudgins shows off his new automobile and a Brahman bull. The Hudgins estate near Hungerford helped define the cattle and ranching industry on the Bay Prairie. Known internationally in the cattle industry, the Hudgins name stands into the present as a leader in Southeast Texas ranching. 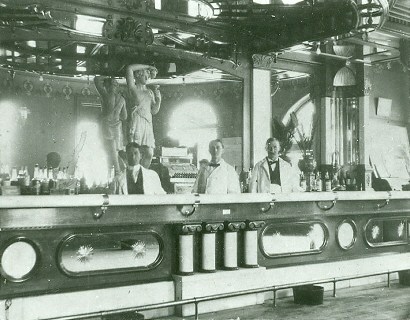 Asa Dawdy Saloon – The Dawdy Saloon, owned and operated by Asa Dawdy, boasted the longest and most extravagant bar in the county, replete with statues, detailed woodwork, and an enormous mirror. Dawdy’s establishment was said to have more expensive paintings and statues than any of the finest homes in Wharton County. 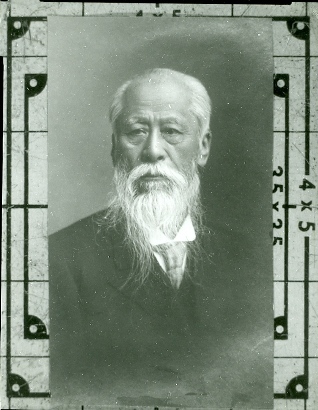 Baron Morimura – Baron Ichizaemon Morimura IV was a banker who invested in the Japanese farms near Mackay. Baron Morimua IV, was the founder of Noritake Inc.
Houseworth Daughter – Bathing beauties strike a pose in the Roaring Twenties. 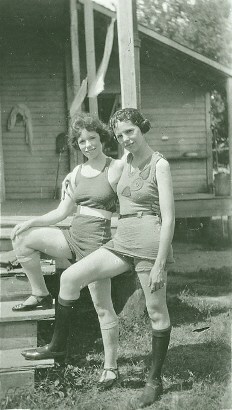 Aline Houseworth (right) daughter of W. L. Houseworth, Wharton’s county treasurer from 1932 to 1956, and her friend would have been considered daring to be seen in public dressed in the “modern” garb of the day. 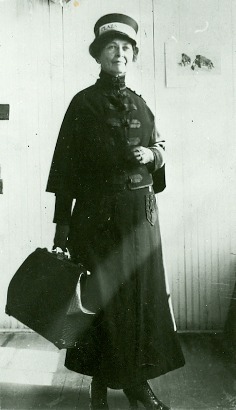 Mrs. Lula Huston – Lula Huston made friends as one of the earliest hotel managers in Wharton. We respected across the community for her social graces, Lula often dressed as a bellhop to greet guests and unload baggage. 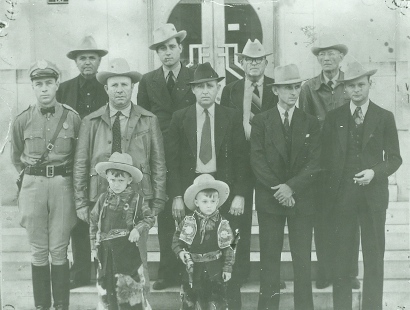 Wharton County Officials – Officials in the 1950’s included County Judge Dorman Nickels, Attorney Lloyd Rust, Sheriff H. R. Flournoy, and County Commissioners Pete Nelson, Claude B. Dill, Paul Sablatura and J.G. McDaniel. Special Thanks to Delia Castillo for sharing information on this outstanding Arcadia title.